After being embroiled in controversy for widespread technical glitches for a month, the results of the Common Law Admission Test (CLAT) 2018 were published on May 31. You may access the results here. 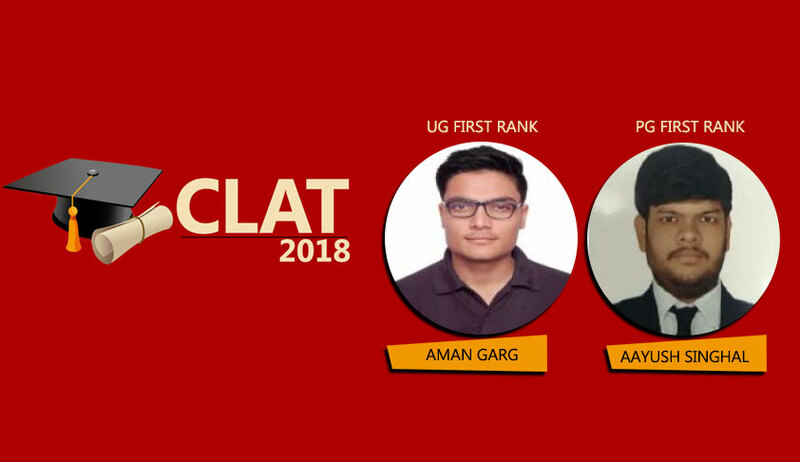 As per a TOI Report, the first four positions for the Undergraduate programs were secured by students from Rajasthan- Aman Garg, Devansh Kaushik, Anmol Gupta, and Gunjan Jadeja. Garg scored 159 marks out of 200 while Kaushik and Gupta secured 157.5 marks each. While the first three toppers are from Jodhpur and had studied together in the same batch, the fourth one is from Jaipur. The first rank for the Postgraduate courses was secured by Aayush Singhal, who also hails from Jodhpur. The results were announced after a Supreme Court Bench comprising Justice L. Nageswara Rao and Justice M.M. Shantanagoudar on Wednesday refused to stay the publication of the results, directing the Grievance Redressal Committee established by NUALS, Kochi to submit its report to it by June 6. The Bench had also made it clear that the exam cannot be cancelled. The Petition begins by listing down several hardships faced by the students due to the technical glitches that marred this year's examination,and submits that several students lost about 5 to 30 minutes due to such technical issues. Besides, it also places on record other problems faced by the students, including poor infrastructure of examination centers, lack of proper guidance from staff recruited by the examination centers and copying.